I ran into a bit of a problem with the sweater I'm currently working on. It was so bad, I was pretty much convinced that I would need to rip back and start over. But before I decided to take that drastic step, I figured I'd block it to see how bad it really was. Of course, I get a bit twitchy if I don't have something to knit on, so while waiting for the sweater to dry, I started some hand-related things. 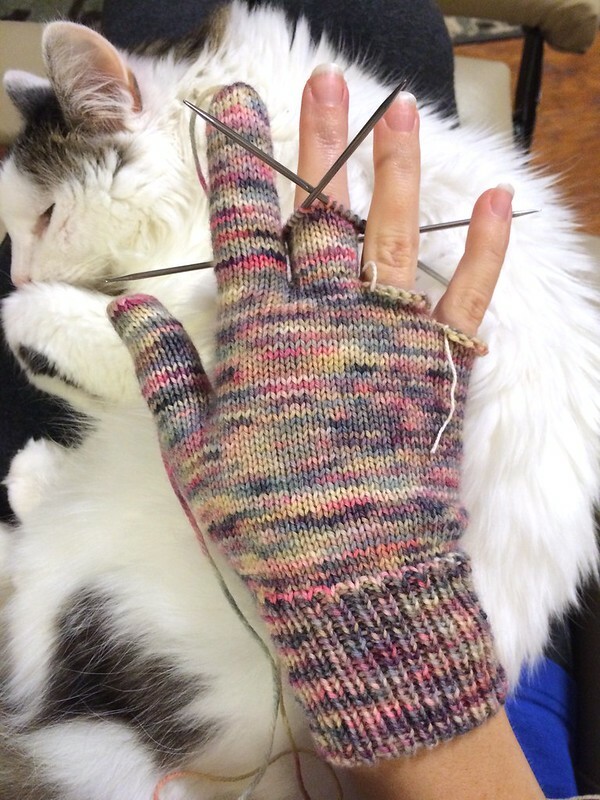 (I suppose my previous flamingo mitts got me in the mood because normally I'm not a big hand-related knitter for whatever reason.) First I did some extendable fingerless mittens. 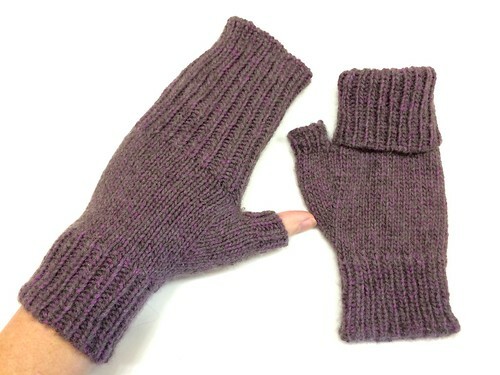 The top can fold down to keep fingers warm or fold back so I can do things like knit, which is awesome. Also awesome, they are made with cashmere. SO SOFT. They were a really simple project so (relatively) quick - only about 15 hours. But by the time I was done with them, I still wasn't ready to face my sweater problems. So I decided to make some gloves. Fortunately, blocking did lovely things to it! 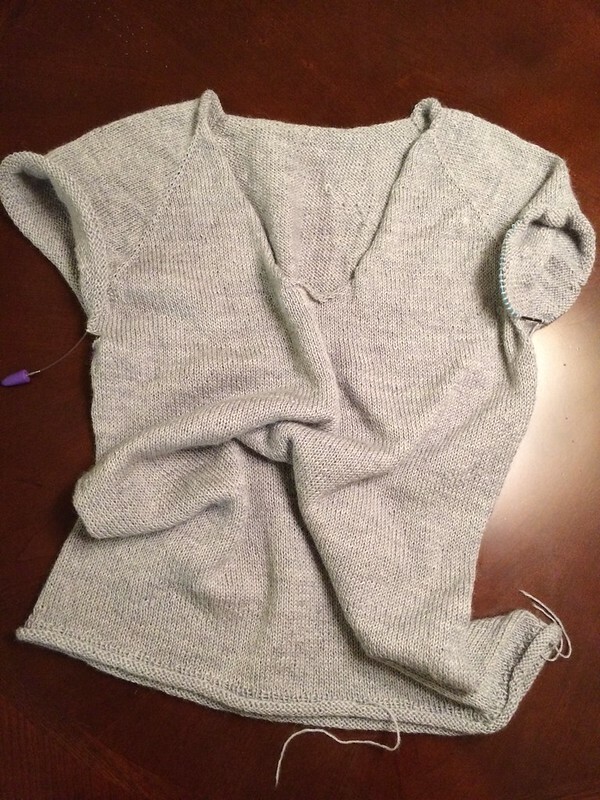 I do need to go back and redo the bottom hem - start the ribbing sooner and make it longer all while thinking tight knitting thoughts (as I don't have a smaller needle in the right length) - and then finish the rest of it, but I'm feeling much more positive about it. And I got some fingerless mitts and some gloves out of it! Successful knitting all around!